Three years ago, Stacy R. White was elected to the Hillsborough County School Board, but his interest to take his public service to the next level has never been stronger. To confirm his ambition, White officially filed his decision to run for a seat on the Hillsborough County Commission (District 4) which represents communities in the south and eastern part of the county. 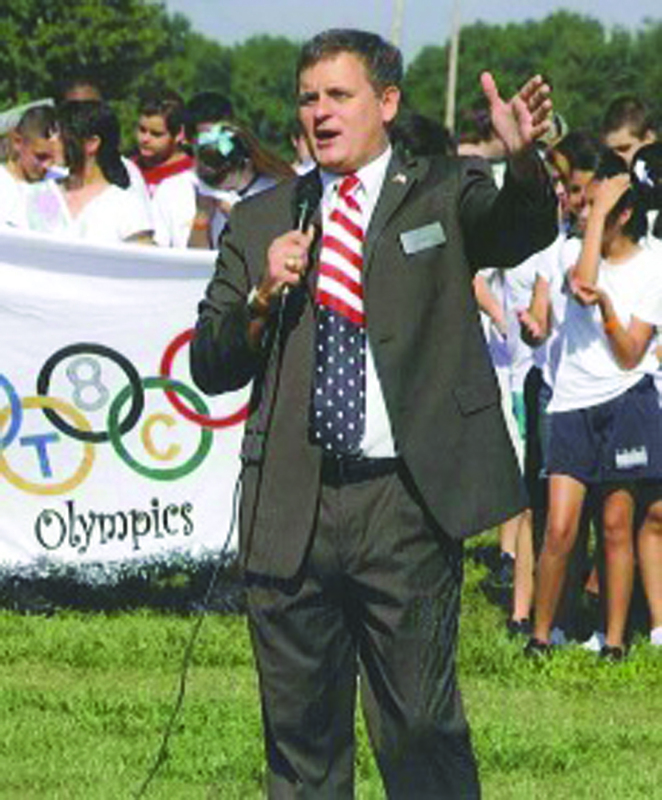 By running for the at-large seat in 2014, currently held by Al Higginbotham, White, a long-time Valrico resident, has no doubt about being the right candidate for the job. White, 41, a republican and a fifth generation native of Hillsborough County, has lived in the area continuously with the exception of time away at college. In 1996, he earned a Doctor of Pharmacy degree from the University of Florida and currently serves East Hillsborough as a pharmacist for AmeriDrug and was honored with the “Roche Preceptor of the Year in an Outpatient Setting” award by the University of Florida in 2006. White also serves as a Clinical Assistant Professor of Pharmacy at the University of Florida. Remaining active throughout the East Hillsborough community, White coached at the local Hillsborough County Recreation Center, served as a classroom volunteer, PTA Board member, and is a regular “Great American Teach-In” speaker. He is strongly supported by his wife, Barbie White, a local school PTA president who is sporting a Bachelors and Masters Degrees in education (1995 and 1997). The two are raising three children, all of whom attend schools in Valrico. A noteworthy accomplishment in connection with his goal of serving on the County Commission is White’s recent endorsement by some of the most respected, successful and influential public servants that includes Hillsborough County Sheriff, David Gee and Mark Ober, State Attorney for the Thirteenth Judicial Circuit of Florida. Humbled and honored by the support of both men, White said that he is grateful for Ober’s friendship, counsel and support as well as Sheriff Gee’s endorsement whose tireless work of protecting and serving the residents of Hillsborough County is an example for all. “As your County Commissioner, I pledge to work closely with such honorable public servants in our community and to provide the resources, tools and support law enforcement and other first responders need to keep our community safe and secure,” White said. Promising to run a simple campaign, White said he is focusing on at least three, closely-related key issues including the local traffic woes, which he said is a countywide problem with district 4 taking most of the brunt. His second concern is planning and growth management, land-use and the impact that area projects have on the community as well as the issue of urban sprawl. White’s opponent currently is Rick Cochran, Republican. No Democrats have filed for the District 4 seat.